Includes all bills. Nice size bedroom, with wardrobe, study desk and ceiling fan. Can come furnished or unfurnished (up to you). Please see floor plan on the photos for bedroom and size. Rent for bedroom 2 is $175, bedroom 3 is $140 (bedroom 3 is currently under application). Both have become available with previous housemates moving overseas. Quiet street, 2 minutes walk to supermarkets (incl Nandos/Sushi/Bakers Delight) and bus stops. 10 minutes walk to Moorooka train station. Spacious house with lots of outdoor area. Air conditioning in the living room. Well maintained house. Feel free to ask any questions. My current housemate is moving out on the 13th of May and I am looking for something to take his room! 2 minute walk to train station! Double bedroom for rent in a 2 year old apartment complex. Perfect for either a student or professional. Apartment complex is right next to the Moorooka train station. The bedroom comes furnished with a bed side table, double wardrobe, bedside lamp and cube storage (which all can be removed if required) . Plenty of space to store your belongings. The room also gets the main bathroom which I will not be using. The room also has a ceiling fan. Living area has AC. 10 minute train ride to Park Road station with easy connection via bus to UQ. 22 minute train ride to central station. Bills are divided equally between all housemates. Previously our electricity bill has been less than others in the same apartment complex. The lease allows us to have 1 cat. As I don't not have a cat you are welcome to bring yours. 2nd level 2 Bedroom apartment with own bathroom including shower, bath and toilet. Large mirrored robe with carpeted 3m x 3m room for queen size bed. Two large bedside tables available if needed. Ceiling fan in room. AC in living room. Close to Moorooka shopping precinct and bus stops and Toohey Forest. Modern and clean 1.5 year old apartment block. One secure off road car park only. Bills, Netflix and internet. included in rent. Queenslander house in the Clifton Hill Area. Single room available in a 4 bed 2 bath shared house. Room can be furnished (bed, desk, chest of drawers) or unfurnished. Share bathroom with 1 other female. Two living areas, balcony, large garden, laundry under house, storage space, on street parking, plenty of space to relax. All bills and Wifi included. Other housemates are easygoing, all working so looking for quiet tidy female, student is fine. Close to multiple bus routes, easy public transport to city/valley/unis. Landlord doesn't allow pets. The room has access to the verandah and the apartment includes access to a pool and gym - both fully included in rent. It is walking distance to Moorooka station on the Beenleigh line. If you enjoy going to the Rocklea markets, it is also walking distance too. The location is perfect for anywhere you need to get to with easy access to Ipswich Road and Beaudesert Road. Free unlimited wi-fi, free electricity, great open large living areas with excellent views from the balcony. Plenty of off street parking. Living with two males working full time. Everybody keeps to themselves. 1 bedroom Granny flat, self contained, quiet Calder sac. Either furnished or unfurnished. Close to Griffith Uni, 5 minutes to Shops, 1 minute walk to Tooheys State Forrest across the road, Internet and power inclusive. Bus stop at the end of the street. No pets. My home has great views, internet and is a combination of the old and new. It is very safe and everyone who visits says it has a lovely feel about it! This Property is a NEWLY built Home. 400m Walking distance to the train and bus services. 20 mins to UQ and QUT campuses. 10 mins to Griffith campus. The property has a great common area and courtyard area for parties and BBQS. The area is a nice leafy , quiet location. Walking distance to Moorooka village and 10 mins to Garden City or Indooroopilly Shopping town. Southbank is an easy train trip away. 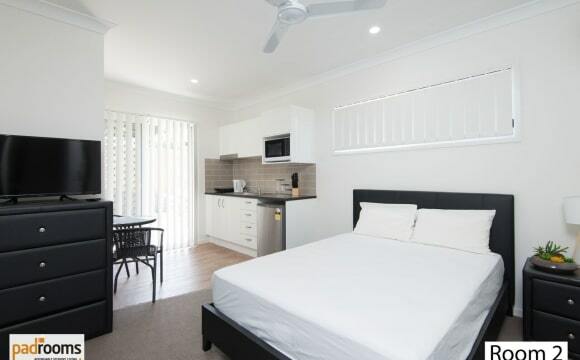 Room available in Moorooka for long or short term. The room has a queen-size bed, a desk and split system air-conditioner. Rent includes internet, electricity and gas. It's a nice, homely, newly renovated townhouse with a large courtyard out the back in a quiet area and close to shops and transport. The kitchen has a gas stove-top and electric oven if you're into cooking. Looking for someone neat and tidy who can take care of themself, but also happy to have a cuppa and a chat every now and then. Feel free to drop by for a look at the room and house. *Close to shops and buses. No pets unfortunately and prefer non-smoker. Students welcome. 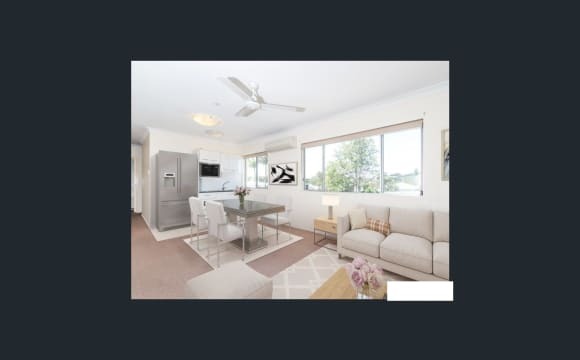 CALL TODAY TO REGISTER FOR AN INSPECTION: Located in a premier position on Near Parks, Schools, Tafe College &amp; Within Easy Reach to Public Transport is this Fully Equipped, Fully Self Contained 4 Bedroom Ground Floor Flat. Available for Rent Now, Recently Freshened Up with New Tiled Floors, Fresh Paint, Timber look Kitchen, Modern Bathroom &amp; this Flat has its Own Separate Laundry, Enclosed Rumpus/Games Room. Ideally Budget Renting for friends to share, or individual students. Walk to Transport, Parks &amp; Yeronga State High School,Tafe College &amp; 1 bus zone to CBD. Just $450.00 Per Week - Includes Electricity, Gas, Internet &amp; Water!!! 12 Month Lease Terms Available &amp; Sorry No Pets! We have one room available in our beautiful townhouse! 3 bedroom townhouse with French doors opening to a courtyard filling the home with natural light, and double garage (a car space available for your use). 100m to the train station/bus stop and 250m to World Gym. The house has ducted aircon, ceiling fans throughout, gas stove, dishwasher and washing machine. Your room is unfurnished. The common areas are furnished. You will be sharing a bathroom with one other male. Unfortunately, we will be not accepting house pets or couples. Please message 0424879604 if interested. 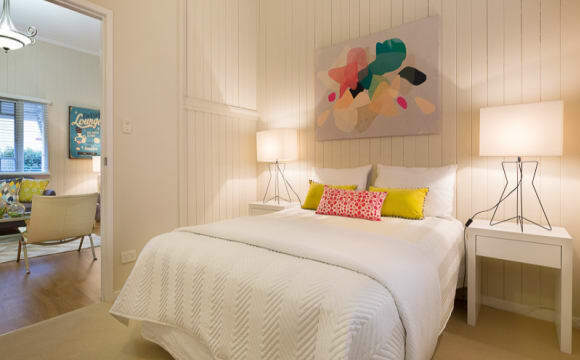 Come and share our four bedroom Queenslander with both front and back decks. Located down a private driveway on a quiet leafy block. This solar panelled house comes with plenty of space for furniture and storage. The available master bedroom, located at the front of the house, comes with built in wardrobes and en-suite. Perks include:- Your own car space in a lock up garage. A fully ducted air conditioned house. Dishwasher. Free unlimited NBN and net phone (excluding international calls). Access to Netfix, Foxtel, Amazon Prime and Spotify. Top loader washing machine. There are three living areas in the house, so plenty of room for being social or just having "me time". 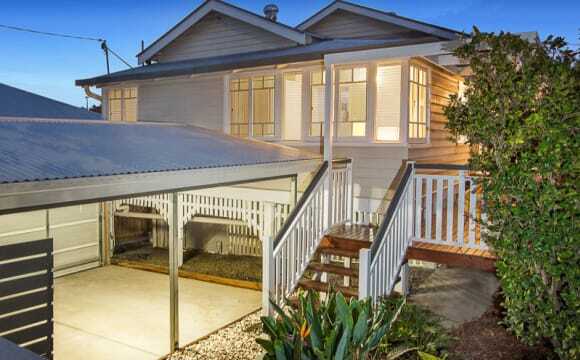 Walking distance to several bus route to Mt Gravatt and CBD which are 8km away. We require someone who is willing to apply via the real estate to be approved and added to the lease. We can provide all required forms. please don't hesitate to contact me if you have any queries. Hey team! 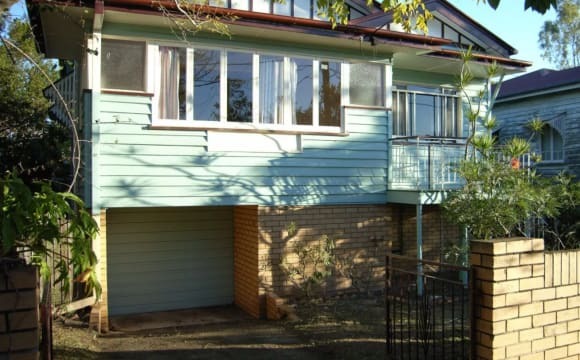 We've got a room for rent in an amazing house in Annerley for only $190 per week! The place is fully furnished except for the bedroom and you'll be sharing the bathroom with one other person. We have air cond here as well, always a plus in Brisbane summer! This place is in Annerley, just off Ipswich Road. It's a 5 minute walk to the bus stop and 17 minutes walk to the train station according to Google maps. It's also close to the Woolies and BWS (always important) and other cafes around the area too. It's pretty much 5 minutes drive/bus to the PA Hospital and also a short drive to Greenslopes and everywhere else around Southside or the city, perfect for anyone working around the area or in the city! It's also a short 7 minute bus ride to the green bridge, so it's convenient for UQ students too! Hey team! We've got a room for rent in an amazing house in Annerley for $190 per week. The place is fully furnished except for the room and you'll be sharing the bathroom with one other person. We have air cond here as well, always a plus in this heat! This place is in Annerley, just off Ipswich Road. It's a 5 minute walk to the bus stop and 17 minutes walk to the train station according to Google maps. It's also close to the Woolies and BWS (always important) and other cafes around the area too. 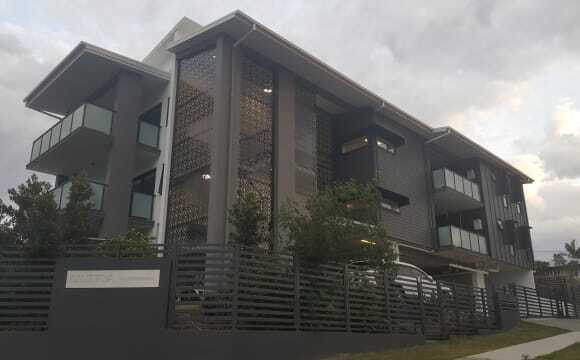 It's pretty much 5 minutes drive/bus to the PA Hospital and also a short drive to Greenslopes and everywhere else around Southside or the city, perfect for anyone working around the area or in the city! It's also a short 7 minute bus ride to the green bridge, so it's convenient for UQ students too! 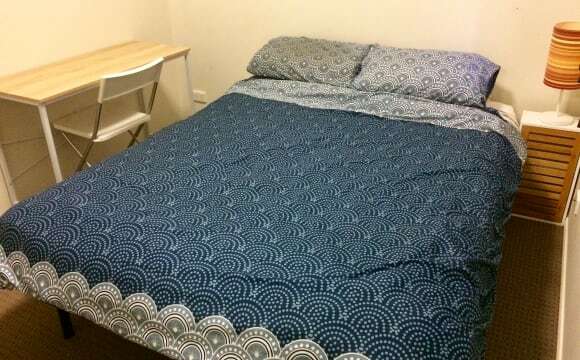 Private, secure FULLY FURNISHED room just 150m from Rocklea Train Station. 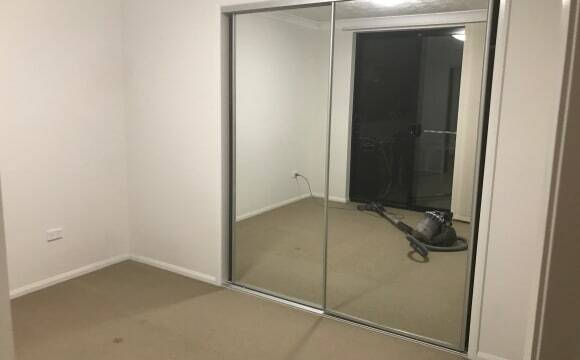 $145 pw - Electricity, water and cleaning of common areas FULLY INCLUDED! Perfect room for peace and quiet, ready for you to move in - Just bring yourself and clothes! Room includes: -Secure lock on door -King Single + pillow and linens -Beside table -Desk, chair and Internet access points -Smoke alarms -NBN ready &amp; Wi-Fi available - Internet available if required A clean and tidy house conveniently located near train, bus and local shops with access to full kitchen, TV room, spacious dining and additional storage if needed. A gem for someone who likes having all the comforts of home without having to bring them along! Please contact Michelle for more information. Close to Griffith University! 2 female housemates and a beautiful border collie pup! 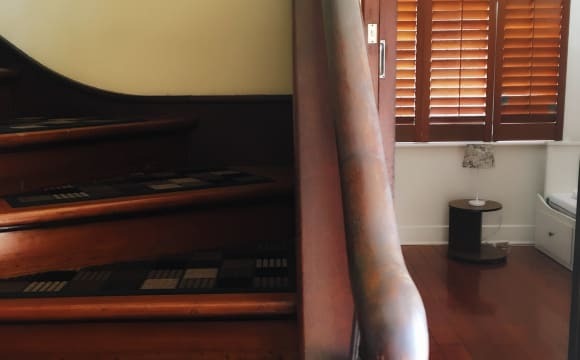 (Must love dogs) Gorgeous white Queenslander house. Air con and fans throughout. Would prefer housemate 24 and over please. Internet and Electricity Included. Hi, I am looking for 1 housemate to take my huge Master bedroom with ensuite and a massive wardrobe. Private entrance through the deck that is basically yours. This nice big 5 bedrooms house with only 3 people in total including you ! So if you enjoy space and privacy, just TEXT me to visit with your name and time for the visit (no calls) :) Rent is from 202/week excluding bills (approx 25$/week/pers) + 20$ for the internet per month. Couples for $250. I'm selling the furnitures of my room : *Luxurious King size bed frame +mattress 1000$ *design glass desk 100$ *2 stool bar chairs 30$ each The house is a newly built shared house close to Nathan campus. Included is a big modern kitchen, huge living room, a second deck where we can put a BBQ and chill out area, two modern bathrooms and central heating/air conditioning system in whole house. 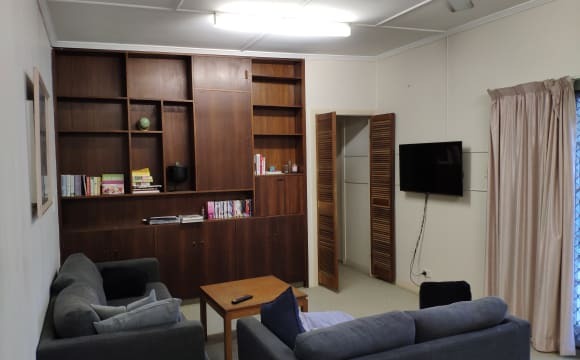 The house is located in beautiful peaceful suburb Nathan, directly behind the GRIFFITH UNI campus with bus station nearby. And you can even walk through Toohey forest to UNI. The house is located close to facilities : =&gt; 7Eleven 24/24 + petrol station (5min walk) =&gt; Aldi (5min by car) =&gt; Anytime fitness/ crossfit (5-15min walk) =&gt; Bus stop (5 min walk) : 120 line bus going: - directly to the city: Southbank (25min) / Queen St (33min) - directly to Nathan campus (10-15min) - directly to westfield garden city (20min) - to Aldi (3min) Multinational and local housemates are welcome ! We are fairly flexible on the move-in date as I don't need to be in to my new house by a certain date. Will be available for inspections on weekends! 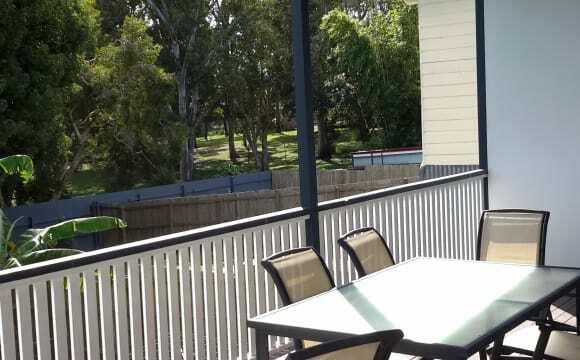 It is a 2 bedroom, 2bathroom (with small balcony) apartment in a quiet complex in Yeronga. Very close to the Beenleigh train line and is close to shops and restaurants. Getting to UQ or the city is very easy from here. The room is spacious and will be unfurnished; large enough for queen bed or king bed with not too much other furniture. There are two bathrooms in the apartment: an ensuite (which Imogen has) and the main bathroom (which you will have). There are no shared bathrooms or bedrooms spaces; only shared spaces are the laundry, living areas, balcony and kitchen. 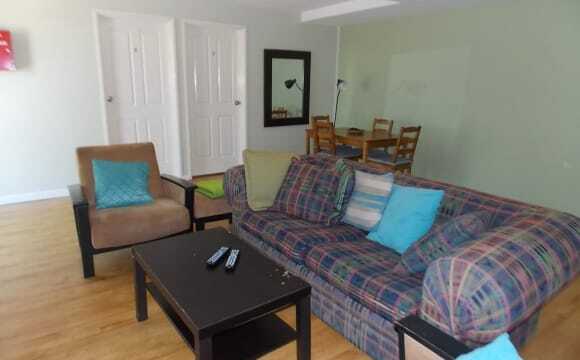 There is a large living area and will be partially furnished. Apartment comes with: fridge/freezer, washing machine &amp; dryer, internet. Bills are internet, hot water, and electricity. It is a short 5min walk to the Yeronga train station, bus stops and the Yeronga park and community pool. Perfect for students or anyone working in the city as it’s a short train trip away. You will have your own bathroom including bathtub (I’ll occasionaly want to take a bath as there’s none in mine). There is a built in robe in the room. It can come furnished or unfurnished. It would fit a queen bed comfortably. There is a portable air-conditioner for use in the connected lounge room, kitchen and dining. The place has brand new carpet throughout. There is a small and peaceful private courtyard with grass, with small patio to enjoy. There is a spare smaller room for extra space/activities e.g. exercise, study etc. There also is a connected laundry and garage. I’m running an Airbnb while the room is vacant so get in quick if you are interested. We can talk about continuing it in the third bedroom or getting another housemate. The bond is 2 weeks and rent is paid a week in advance so initially this is 4 weeks rent. This includes internet, electricity and Netflix. Self-contained Granny Flat downstairs. Nothing to share. Separate entrance to upstairs. Looking for sensible &amp; responsible tenants. Not suitable for party or drama types. Note: Pictures are from when it brand new. The flat looks pretty much the same only the furniture is different. And now has a little kitchen. Rent includes all amenities with reasonable amount (Elec, water, Internet) Property includes washing machine, fridge, couch, bed, dinner table and celling fan. Car port is available for one car. Pet is welcome but only limited to one. Upfront required 2 weeks Rent Plus bond ($1,160). This is nonnegotiable. The bond will submit to bond trust on QLD government. Rental reference / proof on income required on application. Hi there! We’re looking for a female (in their mid to late 20s) to join our 3 bedroom townhouse, long term. The girls will be resigning for 12 months and the realestate would only like someone looking for long term accommodation, no short term please. (Looking for someone for the full term of the lease.) I’m leaving my beautiful sharehouse to live with my boyfriend. I own all of the current furniture so we’re ideally looking for someone who owns all the household essentials. Fridge, washing machine, couch and table. The room up for grabs is $145/w. (Bond is $640). It features a very high ceiling and high door (making the room feel even bigger). It has a built-in cupboard with mirrored doors. It also has 2 high windows to let in the natural sunlight. The room comes unfurnished. The townhouse is spacious and very modern. The property has a garage and one off street parking as well as ample on street parking (with no parking limits). There’s a huge living area downstairs that’s great for entertaining as it opens out onto the courtyard. There’s a cute kitchen with a gas cooktop too! Unfortunately pets are not allowed. 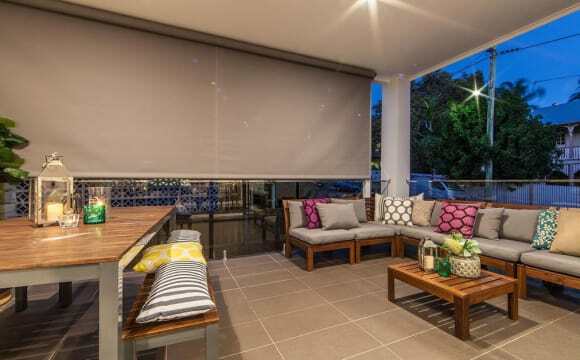 About the area: You’ve got everything you’ll need around the Yeronga area. The house is a short (450m) walk to Yeronga train station. It’ll take you roughly 15min to get to the city by train (ideal for QUT students). It’s a short walk to the 100, 105 and 125 buses. They’ll take you in the city and to Indooroopilly. It’s a 5 minute drive to Fairfield Gardens where you'll find grocery and liquor stores, post office, gym and servo. Annerley, Buranda, South Brisbane and Woolloogabba are a 8/10min drive away too where you'll find so much more. We're located a couple of km’s away from the Brisbane Corso which is very popular for bike riding and morning/afternoon runs. Brisbane Corso leads to Green Bridge which will take you over the river to UQ. To get to the city it's a 8km/15 minute drive. To get to Indooroopilly, it takes roughly 15/20 minutes around either side of the river, Mount Gravatt and Carindale are both roughly 20 minutes drive as well. Great little townhouse close to train station and shops. Quiet street with lots of parking. Downstairs dining/living/kitchen with laundry and toilet.Upstairs three bedrooms, 2 bathrooms. Ceiling fan in bedroom and lounge room. Everything is furnished except your bedroom. Just need to bring a bed! ***All bills are INCLUDED. Bond is $800. / No couples please, one person only. 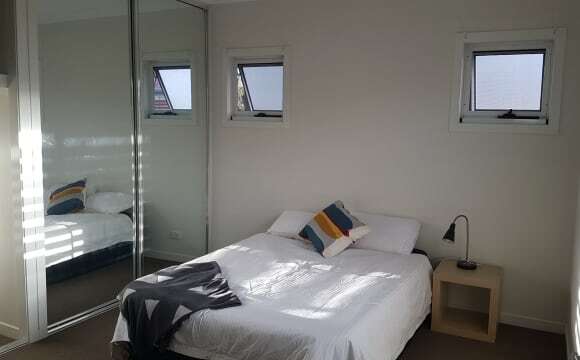 ***Minimum stay is 6 months ***This room can be either furnished or unfurnished upon your request Fully furnished large newly built room with your own large bathroom (vanity, mirror cabinet, shower, toilet) and huge built-in wardrobe. The room comes with a queen bed, mattress, desk, chair, lamp, carpet on floor, ceiling fan, TV antenna in the room. Large modern fully equipped kitchen. Dining area and a TV room Wooden floors throught the house (carpet in bedroom) Lots of storage areas in the house and under the house. Wireless unlimited internet throughout the house. 2 car spots at the front of the house Plenty of street parking available. Location: The house is close to trains and buses, shops, Coles, new Woolworths on Ipswich road, Jets 24hr gym only a 5 min walk away, Fairfield shopping mall. 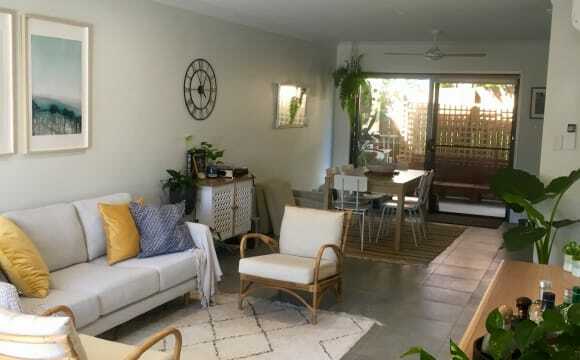 Close to Subway, KFC, Hungry Jacks, Pizza Capers, cafes, large park (Yeronga Memorial Park, 200m away) with a large tennis court and swimming pool. All bills are INCLUDED. Bond is $800. Please note this room is for 1 person only, No Couples. Please call Ellie to arrange viewing. Do you need short term 1-6 month accommodation? Fully furnished room, bedding, linen and all bills included! 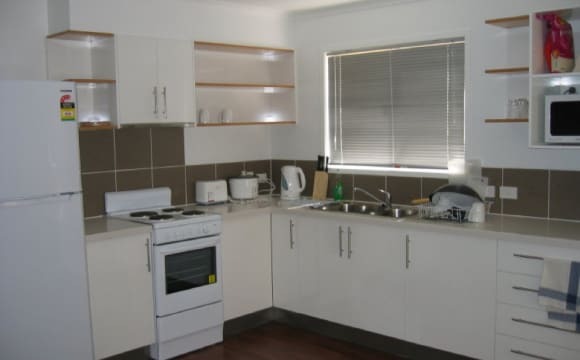 (Or not if you have that covered, rent can be adjusted according) Perfect for academics, visitors or students at UQ, also close to PA Hospital and city. 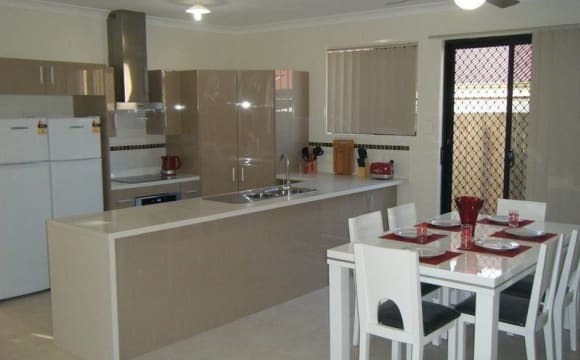 Situated right on the boarder or Fairfield, Yeronga, Annerley. The property is a well kept cute Queenslander style 3br townhouse. Natural light, plenty of space, furnished to feel welcoming so I’m sure you’ll feel at home. The room for rent is bright large queen sized bedroom, comes with ample storage - built in robes (four doors), heating/cooling and private use of main family bathroom. Fully furnished open plan living and kitchen, with plenty of natural light. On a quiet street, but close to buses, trains and supermarkets. Small front yard with outdoor setting and BBQ. Shared use of a single garage, and free on-street parking. This beautiful place is a five minute walk to the bus, ten minute walk to train, five minute drive to groceries, walking distance to a trendy coffee shop (Sunday's cafe), and right on the edge of a gorgeous park which has lots of walking tracks. There is a front and back balcony, both overlooking the park. 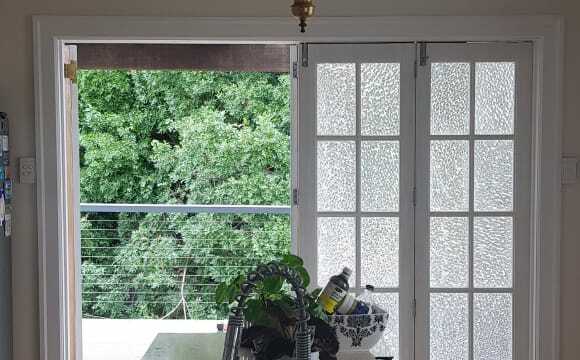 There's room on both balconies to sit and have a drink, listening to the birds and getting your nature fix if you're into that (it's called Kookaburra Park for a reason). The apartment is small, but modern and bright with a large kitchen and air conditioning. There is a lockup garage which you're welcome to share (there's room for two cars as I only have a motorbike) and tons of storage space. The bedroom on offer is semi-furnished, but I can be flexible on that if you have your own furniture. The bedroom has plenty of storage space behind double sliding mirror doors and has a beautiful view, looking out over the park. I'm looking for someone who is tidy (happy to split cleaning 50/50), friendly, respectful of privacy, and quiet as this place is a sanctuary. Someone who works full time would be ideal. Also, I'm looking for someone who likes cats, as I have an indoor cat (she's a bit shy but very sooky when you get to know her). If you need to move in before the official date, that's okay, I can be flexible on that!